Managing the servers, firewalls, software, and other infrastructure in your environment can often times be a hassle. Without the proper time and resources, you may find that you are rushing to complete projects, or prioritizing one project over another. It’s very easy to miss small details that potentially affect your most critical systems. For example, missing a small detail like the expiration date on your hardware maintenance or software renewal contracts could be costly. A software renewal is the continuation of access to software updates, patches, and fixes. Contracts can range between 12-36 months or, newer subscription style contracts renew month to month. Managing software renewals ensures your organization has the most up-to-date systems, increasing security and productivity for your team. Software contracts give your organization access to the most recent version of a product. If the expiration date elapses, your systems could miss a critical update that affects the security of your systems or the productivity of your team. 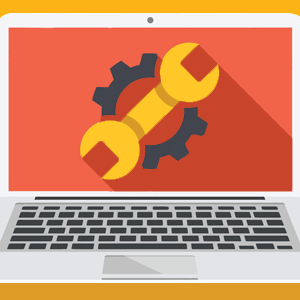 As part of ACS’ complimentary managed maintenance offering, ACS notifies you 90 days in advance of the software renewal date, to ensure stability in your environment. Without a maintenance contract, your organization could encounter issues when a system failure occurs. Like software renewals, hardware maintenance is also bound to a contracted expiration date. By tracking and renewing the contract terms before the expiration date, you ensure your organization has access to replacement parts and knowledgeable engineers who can assist you when a problem occurs in your environment. As we discussed above, managing all aspects of your technology environment can be time-consuming, leaving less time for the smaller priorities of your team. This is where managed maintenance can help. With managed maintenance there is no need to track or remember expiration dates, your provider does it for you. Missing a contract expiration date could leave your systems unsupported. To simplify the contracts for your organization, a technology partner may be able to consolidate multiple contracts from a single manufacturer into one co-termed contract. With managed maintenance, you take hundreds of contracts off your plate and create a single point of contact for all the technology in your environment. By consolidating your contracts, ACS is able to quickly notify you when a product may have expiring maintenance, ensuring your organization doesn’t miss out on critical updates or replacement parts when your systems need them most. Though in theory, it may seem simple to manage the expiration dates and contract terms for all your systems, the truth is in practice; it can be quite overwhelming. Due to the sheer number of individual systems, types of software, and varying purchase dates, tracking and ensuring no expiration date is missed is quite challenging. A single organization could have hundreds of hardware maintenance and software contracts. This is why it’s important to partner with an organization to help manage the details. Cotermination= combining similar contracts into a simplified contract under a single expiration date. Supported Software and Hardware: Identify the supported technology assets of your organization and alert you 90 days before a contract expiration date approaches. Cost-Benefit Analysis: Identifies times when purchasing new hardware is cheaper than renewing maintenance on existing infrastructure.